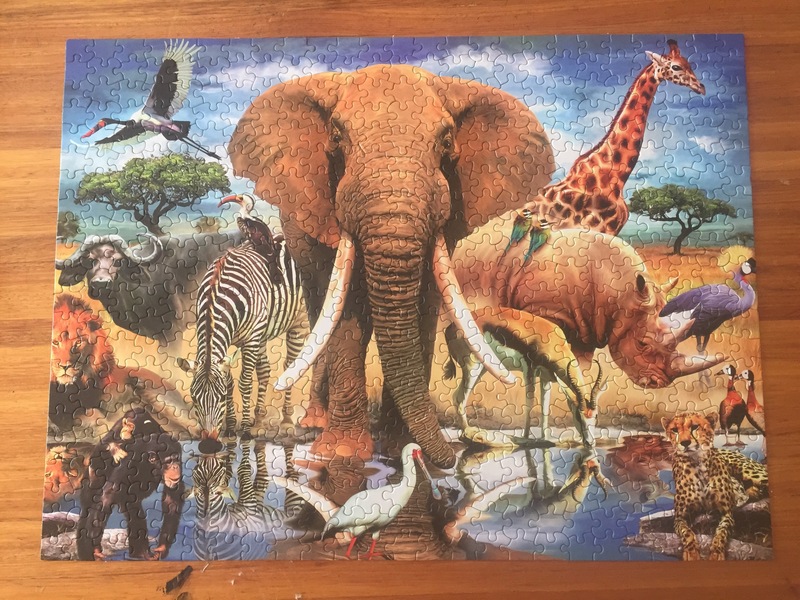 Now that I have more space in my extension-year home, I was able to put together a relaxing puzzle. I am looking forward to the collection of hard puzzles waiting for me in the States. This entry was posted in Africa, eSwatini, Peace Corps, Swaziland, Wednesday photo and tagged eSwatini, PCV, Peace Corps. Bookmark the permalink.